The bougainvillea--also known as the "paper flower plant"--is a flowering perennial plant. The plant is native to South America and is named for a French explorer. There are many varieties of the bougainvillea, with blooms in a range of colors that include white, cream, pink, purple, orange, and bi-colored. Some popular varieties of the bougainvillea include California Gold, Texas Dawn, Jamaica White and Double Pink. 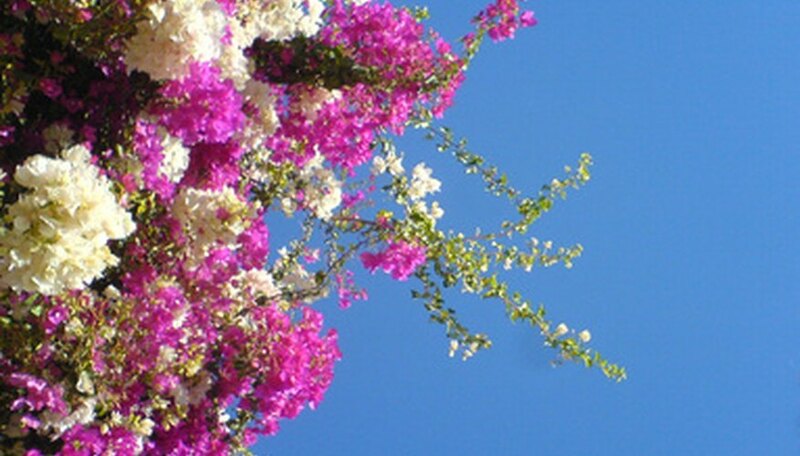 The bougainvillea is a vining plant that grows up to 30 feet tall. The plant can be pruned to be grown as a tree or shrub, or can be trained to vine up a trellis, pergola or arbor. The stems of the bougainvillea are covered in sharp thorns, and care should be taken when pruning. 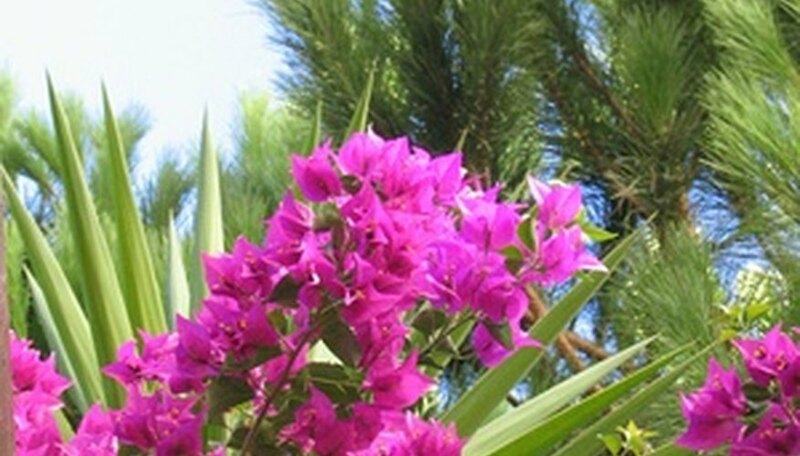 The colorful, showy part of the bougainvillea is not actually the flower. These are colorful "bracts" which surround the true flowers. 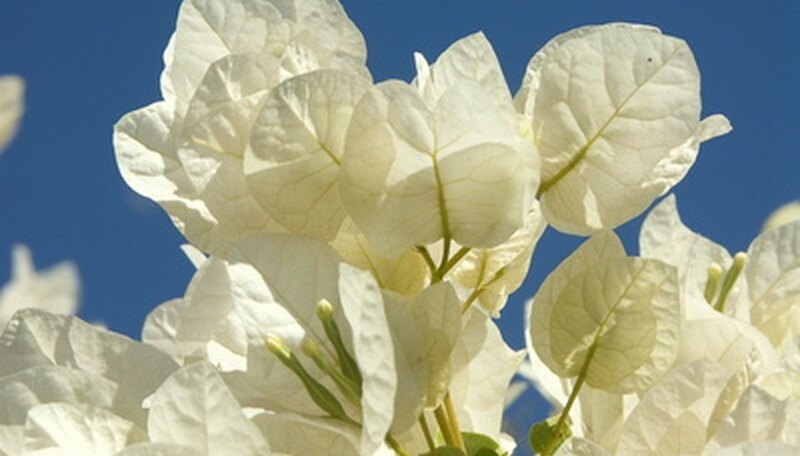 The bougainvillea flowers are short tubes that often open up to reveal tiny plain white flowers. Because the bracts are so colorful, many people never even notice that there are tiny flowers in the center. The bougainvillea requires very little water. If it rains in your area once or twice a month, you will not need to supplement with additional hand watering. 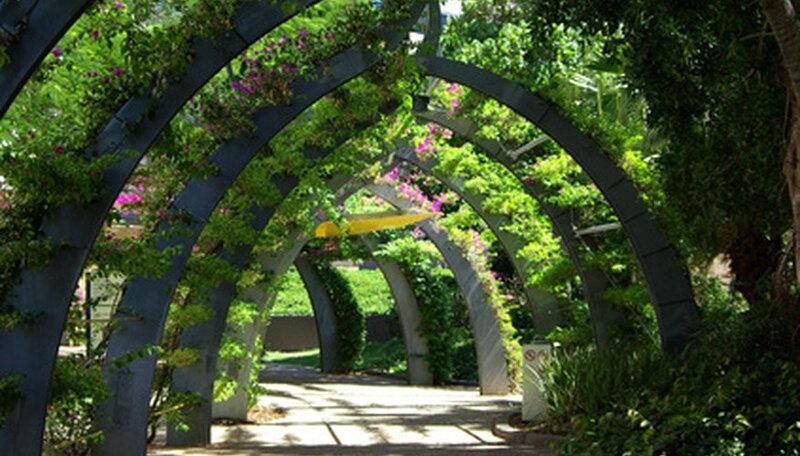 In arid locations, bougainvilleas need water weekly or bi-weekly through the spring and summer. During the fall, bougainvilleas need water only if there is no rain for a month. Bougainvilleas go dormant during the winter, and require no water at all during this time. Over-watering bougainvillea halts the production of flowers and may eventually kill the plant. Bougainvillea prefers soil that drains quickly and cannot tolerate sitting in wet soil. 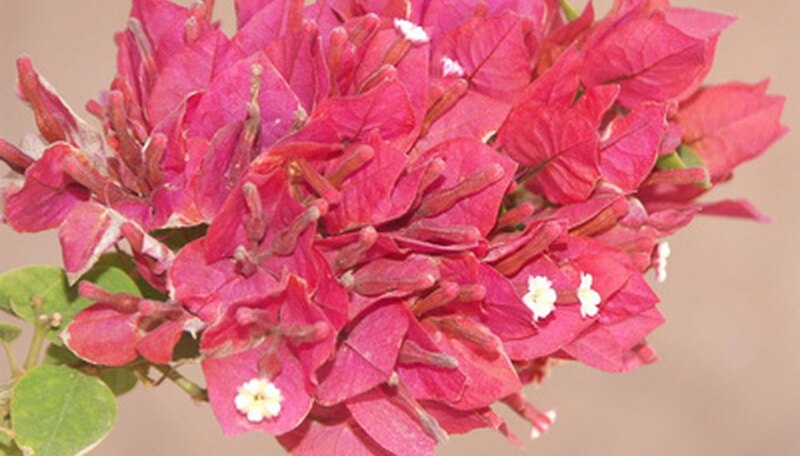 The bougainvillea's root system is delicate and rots when it is exposed to prolonged wetness. The plant grows best in loamy or sandy soil. If you have clay or rich, water-retaining soil, mix it with gardening sand or perlite at a ratio of 1:1 to provide proper drainage. 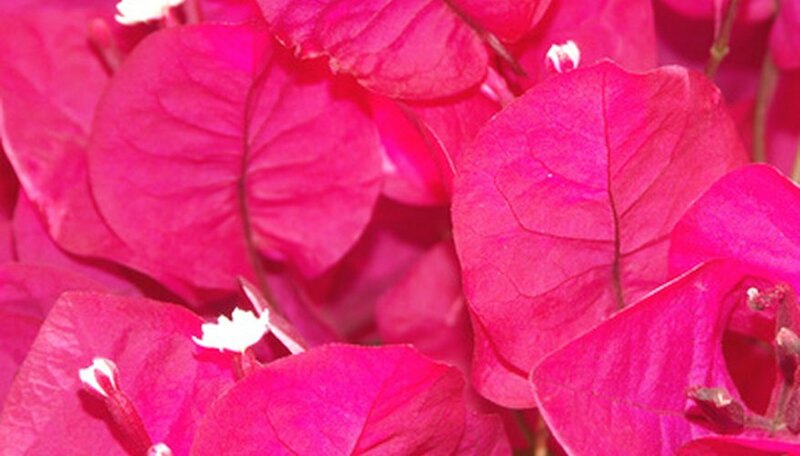 Bougainvillea is a strong, prolific grower and grows easily from cuttings. Cuttings can be green or woody growth. To grow a new bougainvillea from a cutting, place a cutting that is at least 6 inches long into moist (not wet) soil. To hasten growth, use rooting hormone powder on the cut end of the cutting before planting it in soil.